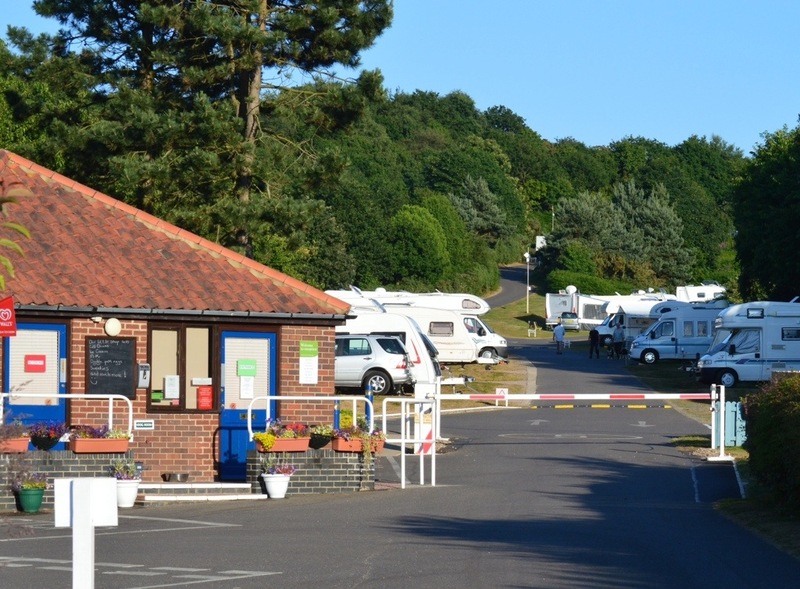 Incleboro Fields is just outside Cromer and is one of The Caravan Club’s larger sites at 21 acres and 250 pitches. It has been with the Club well over 50 years but even after all this time it is easy to see that it used to be a golf course. The fairways and the greens form a number of bespoke mini sites and with the varying levels it is an interesting and surprisingly intimate site despite its size. It is a lovely site maintained as you expect to the highest standards and I have just returned home from there having soaked up a lot of sun in this glorious weather. 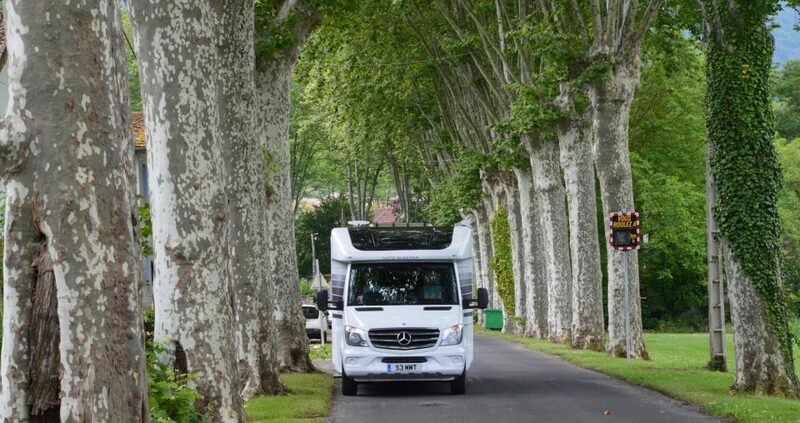 You have never seen an awning unwound and ready to go as quickly as mine on arrival on Thursday evening. Wonderful. The Covert at Swaffham in Norfolk. 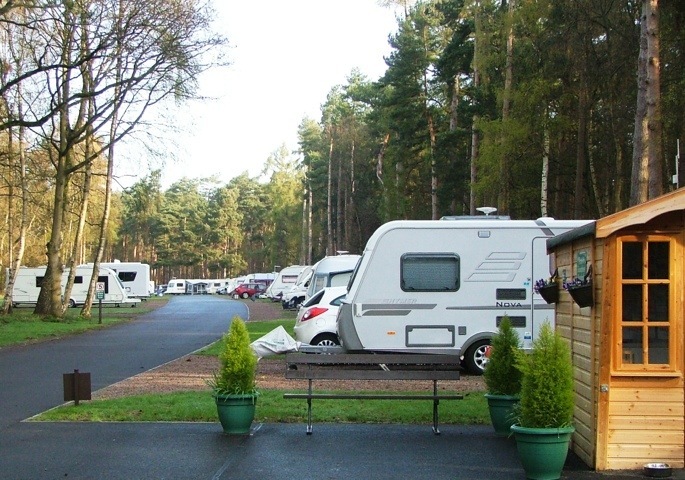 I am staying this week at The Covert in Norfolk which has recently seen a significant upgrade by The Caravan Club. This is a site for walkers as it is set in Forestry Commission woodland, is quiet and secluded with a very wide choice of pitches in open glades. Lots of wildlife as you would expect and, as you would also expect, the site is beautifully maintained. I think when it comes to sites I am in the Capability Brown school of thinking; I want the perfect setting and the natural wildlife feeling which The Covert demonstrates so ably but I also want that Victorian principle to be demonstrated where it is also all under control as well. I do not need be surrounded by the Carpet Gardens of Eastbourne for instance – not that I have anything against the Carpet Gardens – but I do like well manicured control and tidiness. Entrance to the site is from the A1065 and must be one of the most impressive entrances on the network as a tank sits on a plinth as part of the memorial to the Desert Rats and what they did, achieved – and sacrificed – during the second World War. The site has been upgraded with some hard standings and particularly significant is the new roadway replacing the fast deteriorating concrete WW2 runway around which the site is based. There is no toilet block.